Reimbursement is permissible only if the Child is studying in a recognized educational institution. Reimbursement is allowed to only the two eldest surviving children of the Government Servant except when the 2nd Child birth results in multiple births or the 3rd Child is born due to failure of sterilization operation. The children borne out of second marriage or the children of second wife/husband in additions to children from first marriage. Reimbursement is permissible for any number of note books as may be prescribed by the recognized educational institution. Whether honorarium is payable to the chairperson/Members of the DPC and also such other Departmental Committees, viz., Committee on Sexual Harassments at work place, etc.? In terms of the provisions of Fr 46 (b), the Central government may grant or permit an honorarium as remuneration for work performed which is occasional or intermittent in character and either so laborious or of such special merit as to justify a special reward. Except when special reasons, which should be recorded in writing, exist for a departure from this provision, sanction to the grant or acceptance of an honorarium should not be given unless the work has been undertaken with the prior consent of the Central Government and its account has been settled in advance. Guidelines for payment of Honorarium under Fr 46 (b)have already been laid down inter alia vide the Department’s OM No.17011/9/85-Estt. (AL), dated 23.12.1985 and OM No.17020/1/91 – Estt. (AL), dated 18.11.1991. It has also been clarified that no honorarium should be granted for temporary increases in work. Whether retention of “Fee” for delivering lectures in Government/Private bodies is permissible? Whether male Government Servant, who is single parent, can be allowed Child Care Leave? No. CCL can be granted to female employees only. Whether Bond on Study Leave can be transferred from Central Government to State Government? The Government servants governed by the CSS (Leave) Rules, 1972 and entitled to avail LTC may en-cash earned leave up to 10 days at the time of availing both types of LTCs., i.e., “Hometown” and “Anywhere in India”. However, when the one and the same LTC is being availed of by the Government Servant and his family members separately in a block year, encashment of leave would be restricted to one occasion only. The massive congregation of the representatives of Central Govt Employees who have come from various parts of the country held at Jantar Mantar before the Indian Parliament on 28-04-2015 decided to commence the indefinite strike action from 23rd November 2015 from 6 AM having failed to elicit any positive response from the Government in settlement of the 10 point Charter of Demands submitted months back. It was also decided that the Railways and Defence organizations will conduct the strike Ballot as per the provision of the Industrial Disputes Act and Recognition Rules before commencing the strike from 23-11-2015. The massive gathering adopted the resolution unanimously exhorting the central Govt. Employees to prepare for the eventual strike action in all earnestness and make it a historic one. The meeting congratulates the employees for forging exemplary unity and carrying out various programmes chalked out by the National Joint Council of Action (NJCA) after the national convention on 11th December 2014. Even though the Govt. was compelled to set up the 7th CPC on account of the sanctions generated through the action programmes, Govt. has refused to grant Interim Relief and merger of DA and excluded the Gramin Dak Sewaks of the Postal Department from the ambit of the 7th CPC. It is a matter of regret that in spite of public admission of non-privatisation of Indian Railways by Prime Minister of India and assurance of Minister of Railways on various occasions, including Parliament, Dr. Deb Roy Committee had submitted a report which is a clear roadmap for privatisation of IR. Machinery, the negotiating forum set up in 1966 for Central Government Employees to discuss and bring about settlement of their demands. The meeting chaired by Secretary (Personnel) on 25th February 2015 did not bring about settlement on any single issue of the Charter of Demands. The meeting unanimously decided to demand before the Government to convene the meeting of National Council, JCM immediately and settle the following charter of demands, if at all it wants to avoid confrontation with its own employees. 1.Effect wage revision of the Central Government Employees from 01.01.2014, accepting the memorandum of the Staff Side JCM; ensure 5-year wage revision in future; grant Interim Relief and Merger of 100% of DA. Ensure submission of the 7th CPC report within the stipulated time frame of 18 months; include the Grameen Dak Sewaks within the ambit of the 7th Settle all anomalies of the 6th CPC. 2.No privatisation, PPP or FDI in Railways and Defence Establishments and no corporatisation of postal services. 4.Scrap PFRDA Act and re-introduce the defined benefit statutory pension scheme. 5.No outsourcing; contractorisation, privatisation of governmental functions; withdraw the proposed move to close down the Printing Presses; the publication, form store and stationery departments and Medical Stores Depots; regularise the existing daily rated/casual and contract workers and absorption of trained apprentices. 8.No labour reforms which are inimical to the interest of the workers. 9.Remove the ceiling on payment of Bonus. The meeting authorized the National JCA to take appropriate and necessary steps needed to make the indefinite strike beginning from 23rd November 2015 an unprecedented and grand success. Sanction of Dearness Allowance to Karnataka Government Employees with effect from 01.01.2015. Sub:- Revision of the rates of Deamess Allowance-res. (9) Representation dated: 10.04.2015 of the President, Karnataka State Govemment Employees' Association. Government are pleased to sanction increase in the rates of Dearness Allowance payable to the State Government Employees in the Revised Pay Scales 2012 from the existing 25.25% to 28.75% of Basic Pay with effect from 1st January 2015. 5. Government are also pleased to sanction increase in the rates of Deamess Allowance from the existing 25.25% to 28.75% of the Basic Pension/Family Pension with effect from 1st January 2015 to the State Government Pensioners/Family Pensioners and Pensioners/Family Pensioners of the Aided Educational Institutions whose Pension/Family Pension is paid out of the Consolidated Fund of the State. 6. Govemment are also pleased to sanction increase in the rates of Dearness Allowance from the existing 25.25% to 28.75% of the Basic Pension/Family Pension with effect from 1st January 2015 to the Pensioners/Family Pensioners who were drawing pay in the UGC/AICTE/ICAR scales of pay. 10. The Deamess Allowance will be shown as a distinct element of remuneration and will not be treated as pay for any purpose. Central Government employees have decided to hold a demonstration near Parliament on April 28 for bringing to notice their long-pending demands such as scrapping of the new pension scheme, merger of dearness allowance, and putting a stop to outsourcing, among others. 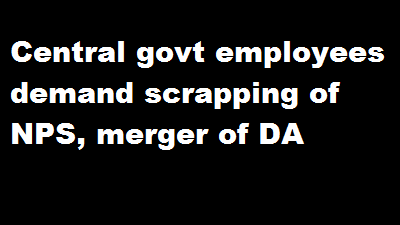 According to a release, the demonstration would press the long-pending demands of Central Government employees including scrapping the New Pension Scheme (NPS), merger of dearness allowance (DA) in Pay, redressal of pending anomalies of the Sixth Central Pay Commission, interim relief, scrapping foreign direct investment, and public private partnership schemes, filling of vacancies, stopping outsourcing, enhancement of the limit of bonus, and on the other side various amendments in labour laws, among others. On the call of the National Joint Council of Action (NJCA), the Convener of NCJCA Shiva Gopal Mishra said in a release various associations will participate in the demonstration including the All-India Railway Men’s Federation, the National Federation of Indian Railwaymen, the All-India Defence Employees’ Federation, the Indian National Defence Workers’ Federation, the National Federation of Postal Employees’ Federation, the Federation of National Postal Organisation, and the Confederation of Central Government Employees. Besides, some state employees will also participate in the demonstration. Mishra further said if the Government does not take the “united movement seriously” to resolve the issues, they would be forced to take precipitate action for which the Centre would be responsible. (iii) The O.A is allowed to the extent as aforesaid. No order as to costs It is learnt that vide I.D. No. 17(4)/2012/D (Civ-II), dated 04.01.2013 MOD had asked for some data from all the Dtes/Hqrs and since then the matter was pending. Meanwhile, O.A. No. 2017/2014 was filed in CAT Mumbai on 17th January, 2014 as ‘All Employees of Ordnance Factory Ambajhari, Nagpur (1598 applicants) versus Union of India through Secretary, Min of Defence’ for payment of Night Duty Allowance on the basis of actual salary. The O.A. was disposed of at the admission stage with the directive to consider the said representations of the applicants in the light of the judgement passed by Jodhpur within 12 weeks. Aggrieved by the non-compliance of the above directive, Contempt Petition (CP No.200/2014 Shri Arvind Girija Singh & Ors versus UOI & Ors.) was filed and the subject CP was heard on 23.02.2015 and after hearing both sides Hon’ble CAT Mumbai disposed of the contempt petition with an order to grant night duty allowance as per revised rate within 03 months from the date of receiving the order. 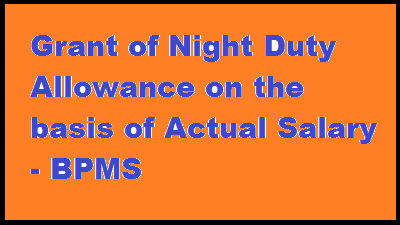 As the period granted by the Hon’ble CAT is going to expire on 23.05.2015, all the concerned authorities are requested to take appropriate action so that Night Duty Allowance may be paid on the actual salary as per CAT directive to the petitioners as well as nonpetitioner, failing which by this federation BPMS will be compelled to file Contempt Petition. Appointment on compassionate grounds – Clarifications – regarding. Sub: Appointment on compassionate grounds – Clarifications – regarding. Attention is invited to this Ministry’s letter of even number dated 14.092012 issued under RBE No. 102/2012. Some of the Zonal Railways have sought clarification as regards to the allowances and benefits allowed to a trainee under Board’s letter dated 14.09.2012(RBE No. 102/2012) should be given to a trainee appointed against a working‘post where it is mandatory for persons being appointed to clear the entire training period before joining a working post. The matter has been examined in Board’s office and it is clarified that in terms of one of the recommendations of the 6th Central Pay Commission, as accepted by the Government of India, candidates not possessing the minimum qualifications of Matric could not be recruited in the Government service. At the same time, Commission also recommended that in exceptional circumstances like appointment on compassionate grounds, Government might need to provide employment opportunities to certain classes of persons not immediately meeting the minimum educational standards and Government could recruit them as “trainees” who would be given a regular pay band and Grade Pay only on acquiring the minimum qualification prescribed under the Recruitment rules. Thus, it is amply clear that Board’s instructions dated 14.09.2012 applies exclusively in cases, where candidate being considered for appointment on compassionate grounds are not meeting the minimum qualification for entry into the Government service that is, in Grade Pay 1800/- and the word ‘trainees’ have been coined only for this limited purpose. It has nothing to do with trainees (who get stipend and not salary) in various posts of Grade Pay 1900 & above, where it is mandatory for persons to complete the training successfully, before joining a working post. Grant of Dearness Relief to Central Government pensioners/family pensioners — Revised rate effective from 1.1.2015. Subject : Grant of Dearness Relief to Central Government pensioners / family pensioners – Revised rate effective from 1.1.2015. The undersigned is directed to refer to this Department’s OM No. 42/10/2014- P&PW(G) dated 29th September, 2014 on the subject mentioned above and to state that the President is pleased to decide that the Dearness Relief (DR) payable to Central Government pensioners / family pensioners shall be enhanced from the existing rate of 107% to 113% w.e.f. 1st January, 2015. 2. These orders apply to (i) All Civilian Central Government Pensioners / Family Pensioners (ii) The Armed Forces Pensioners, Civilian Pensioners paid out of the Defence Service Estimates, (iii) All India Service Pensioners (iv) Railway Pensioners and (v) The Burma Civilian pensioners/family pensioners and pensioners / families of displaced Government pensioners from Pakistan, who are Indian Nationals but receiving pension on behalf of Government of Pakistan and are in receipt of ad-hoc ex-gratia allowance of Rs. 3500/- p.m. in terms of this Department’s OM No. 23/1/97-P&PW(B) dated 23.2.1998 read with this Department’s OM No. 23/3/2008- P&PW(B)dated 15.9.2008. 3. Central Government Employees who had drawn lump sum amount on absorption in a PSU / Autonomous body and have become eligible to restoration of 1/3rd commuted portion of pension as well as revision of the restored amount in terms of this Department’s OM No. 4/59/97-P&PW(D) dated 14.07.1998 will also be entitled to the payment of DR @ 113% w.e.f. 1.1.2015 on full pension i.e. the revised pension which the absorbed employee would have received on the date of restoration had he not drawn lump sum payment on absorption and Dearness Pension subject to fulfillment of the conditions laid down in para 5 of the O.M. dated 14.07.98. In this connection, instructions contained in this Department’s OM No. 4/29/99-P&PW (D) dated. 12.7.2000 refer. 5. Other provisions governing grant of DR in respect of employed family pensioners and re-employed Central Government Pensioners will be regulated in accordance with the provisions contained in this Department’s OM No. 45/73/97-P&PW(G) dated 2.7.1999 as amended vide this Department’s OM No. F. No. 38/88/2008-P&PW(G) dated 9th July, 2009. The provisions relating to regulation of DR where a pensioner is in receipt of more than one pension will remain unchanged. 8. The offices of Accountant General and authorised Pension Disbursing Banks are requested to arrange payment of relief to pensioners etc. on the basis of these instructions without waiting for any further instructions from the Comptroller and Auditor General of India and the Reserve Bank of India in view of letter No. 528-TA,II/34-80-II dated 23/04/1981 of the Comptroller and Auditor General of India addressed to all Accountant Generals and Reserve Bank of India Circular No. GANB No. 2958/GA-64 (ii) (CGL)/81 dated the 21st May, 1981 addressed to State Bank of India and its subsidiaries and all Nationalised Banks. 9. In their application to the pensioners / family pensioners belonging to Indian Audit and Accounts Department, these orders issue after consultation with the C&AG. 10. This Issues with the concurrence of Ministry of Finance, Department of Expenditure conveyed vide their ID No. 1(4)/E.V/2004 dated 24th April, 2015. Subject: Rates of Dearness Allowance applicable w.e.f. 1.1.2015 to employees of Central Government and Central Autonomous Bodies continuing to draw their pay in the pre-revised scale as per 5th Central Pay Commission. The undersigned is directed to refer to this Department’s O.M. of even No. dated 25th September, 2014 revising the rates of Dearness Allowance in respect of employees of Central Government and Central Autonomous Bodies who continue to draw their pay and allowances in the pre-revised scales of pay as per 5th Central Pay Commission. 2. The rates of Dearness Allowance admissible to the above categories of employees of Central Government and Central Autonomous bodies shall be enhanced from the existing rate of 212% to 223% w.e.f. 1.1.2015. All other conditions as laid down in the O.M. of even number dated 3rd October, 2008 will continue to apply. 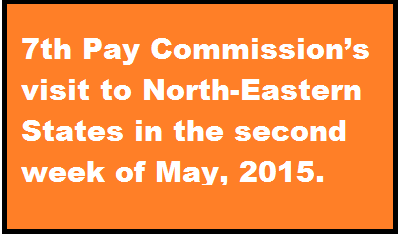 7th Pay Commission’s visit to North-Eastern States in the second week of May, 2015. The Commission, headed by its Chairman, Justice Shri A. K. Mathur, proposes to visit North-eastern states in the second week of May, 2015. The last date for receiving request for meeting is 6th May 2015 (1700 hours). The undersigned is directed to say that vide this Department’s O.M No.38/37/08-P&PW(A) dated 1.9.2008 and O.M No. 38/37/08-P&PW(A) dated 2.9.2008. Instructions were issued for grant of additional pension/family pension @ 20% to 100% to old pensioners/family pensioners of the age of 80 years and above. 2. A question has been raised as to how the amount of additional pension is to be regulated in case the additional pension results in fraction of a rupee. The matter has been examined in consultation with Ministry of Finance (Department of Expenditure) and it has been decided that the amount of additional pension as finally calculated may be rounded off to the next higher rupee. In cases where the pension/family pension of old pensioners has been fixed/revised without rounding off the additional pension, in those cases also, the additional pension may be rounded off to the next higher rupee hereinafter. However, no arrears for the period from 1.1.2006 on account of such rounding off would be paid in those cases. 3. This issues with the approval of Ministry of Finance (Department of Expenditure) ID No. 157/EV/2015 dated 30.3.2015. Dated : 22nd April, 2015. With reference to Govt. of India, Ministry of Defence letter No.24(8)/03/US(WE)/D(Res) dated 19th December 2003, I am directed to convey the sanction of Competent Authority for following addition to Para 7 of the letter. This issues with the concurrence of Ministry of Defence (Finance) vide their U.O. No 33(207)/2014.Fin/Pen elated 8-4-2015. 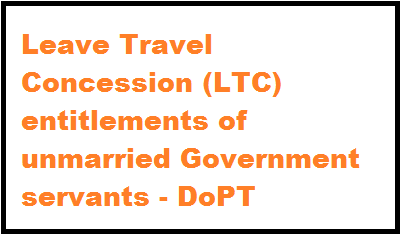 Leave Travel Concession (LTC) entitlements of unmarried Government servants - DoPT Clarification. Instructions on exemption from passing the Typewriting Test on Computer in respect of LDCs, regarding. 3. Model RRs for the post of Lower Division Clerk (LDC) were issued vide this Department’s O.M.No.AB-14017/32/2009-Estt(RR) dated 7th October, 2009. The entries pertaining to Skill Test Norms prescribed in the Col. 8 of the Model RRs for the post of LDC were modified to include the Skill Test Norms ‘only on computers’ vide this Department’s O.M.No.AB14017/32/2009-Estt(RR) dated 17) 11May, 2010. 4. This Department has received references whether the instructions as contained in this Department’s OM dated 29.9.1992 are applicable for test on Computer or not. The matter has been examined and it has been decided that the criteria for grant of exemption from passing the typing test in respect of such LDCs including Physically Handicapped persons/Persons with Disabilities as stipulated in this Department’s O.M.No.14020/2/91-Estt(D)dated 29th September, 1992 would also be applicable to the test on Computers. 5. It has also been decided to extend the above instructions to Sportspersons recruited against Sports quota under the Scheme of appointment of meritorious Sportspersons. Travel by Premium Trains on Official Duty/Tour/Training/Transfer etc.- Clarification reg. Dated the 22nd April, 2015. Subject:- Travel by Premium Trains on Official Duty/Tour/Training/Transfer etc.- Clarification reg. 2. It is clarified that travel by Premium Trains by Central Government servants on Official Duty/ Tour/Training/Transfer etc. is not allowed and therefore, the fare charged for Premium Trains by the Indian Railways for the journey performed by Premium Trains shall not be reimbursable. In cases where journey on Official Duty/Tour/Training/Transfer etc. has already been performed by Premium Trains, the amount reimbursed shall be restricted to the admissible normal fare for the entitled class of train travel or the actual fare paid, whichever is less. 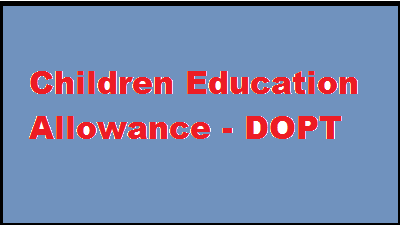 Sanction of Dearness Allowance to Odisha Government Employees with effect from 01.01.2015. Sub:- Sanction of Dearness Allowance to State Government Employees with effect from 01.01.2015. Government of India, Ministry of Finance, Department of Expenditure in their Office Memorandum No-1/2/2015-E-II(B).,dtd. 10.04.2015 have enhanced the Dearness Allowance payable to the Central Government employees from existing 107% to 113% w.ef. 01.01.2015. 2. Now, considering the overall financial resources and fiscal targets stipulated under Odisha Fiscal Responsibility and Budget Management Act, 2005, the State Government have been pleased to release additional dose of DA @6% enhancing the same from the existing rate of 107% to 113% on the Basic Pay and Grade Pay taken together w.e.f. 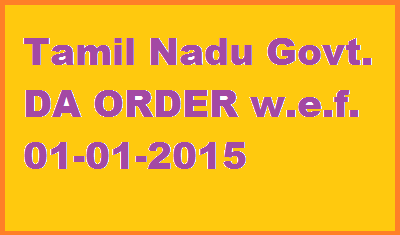 01.01.2015 in case of the State Government employees, who are covered under the ORSP Rules, 2008. This additional dose of DA will be paid in cash and can be drawn in the Pay Bill of April, 2015 payable in May, 2015 and onwards. Arrear from the month of January, 2015 to March, 2015 on account of the enhanced DA, shall not be drawn before the date of disbursement of salary of April, 2015. 3. Payment of enhanced D.A. @113% w.e.f. 1st January, 2015 to the State Government employees and employees Of Aided Educational Institutions, drawing pay under ORSP Rules, 2008 will be at par with DA sanctioned by Government of India in Ministry of Finance, Department of Expenditure O.M. 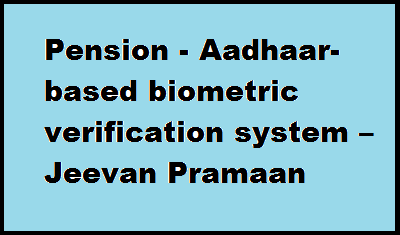 No.1/2/2015-E-II(B), dated 10.04.2015. This additional dose of DA of 6% on basic Pay and Grade pay taken together w.e.f. 01.01.2015 and the manner of payment to the State Government employees as above is also applicable to the following category of employees covered under the ORSP Rules, 2008. Job Contract Workers of Consolidation and Settlement Organisation who are in receipt of fixed pay in regular scale of pay under ORSP Rules, 2008 and DA sanctioned thereon from time to time. 5. DA in accordance with this Memorandum will also be admissible to the State Government employees who were in service on the 1st January, 2015 but have ceased to be in service at the time of sanction of this enhanced DA. 6. The bill for drawal of enhanced DA @6% w.e.f. 01.01.2015 to the State Government employees and employees of Aided Educational Institutions, drawing pay under ORSP Rules, 2008 will be submitted to the Treasuries/Special Treasuries/Sub-Treasuries along with the pay Bill for the month Of April, 2015 payable in May, 2015 onwards. Revision of rates of wages of daily wage workers and workers engaged on part-time basis in Himachal Pradesh. Dated: Shimla - 171002, the 17th April, 2015. Subject : Revision of rates of wages of daily wage workers and workers engaged on part-time basis in Himachal Pradesh. In partial modification of this Department's letter of even number dated: 24th May, 2014, on the subject cited above, I am directed to say that the rates of daily wages in respect of various categories of workers engaged on daily wages in Himachal Pradesh are revised w.e.f. May. 2015. as shown in Annexure-"A". 2. The per hour rate of part-time workers is also revised from Rs. 21.00 per hour to Rs. 22.50 (without rounding off to Rs. 23.00 per hour w.e.f. 1st May, 2015. 3. All those engaged on daily wage basis/part-time basis in the Scheduled Tribal Areas of the State shall be allowed 25% enhancement on the revised daily wages as per Finance Department's Office Memorandum No. FIN (PR)B (7) - 1/95-II dated 17.04.1998. 4. These rates will be applicable to all those working in various Government Departments. As far as the PSUs/Universities/ Autonomous Bodies /Boards etc. are concerned, these enhanced rates shall be applicable to them only if the managements of those PSUs/Universities/ Autonomous Bodies 'Boards etc, take a decision in this regard, considering the availability Of resources in their organization. Forwarding of representations before the Pay Anomalies Commission. Subject: Forwarding of representations before the Pay Anomalies Commission. 1. The Commission will not accept any new representation from any individual employee/ Association(s)/ Union(s) of employees directly after the closing date Of 15.04.2015. Any such representation received after closing date Of 15.4.2015, will not be entertained and the same will be filed under intimation to the representationist. made clear that this date has been extended only for enabling the Administrative Departments to expedite the pending ease awaiting comments. However, no new representation be taken up after the closing date of 15.4.2015. 5. The arrears of Dearness Allowance for the months of January, February and March 2015 shall be disbursed in cash immediately. While working out the revised Dearness Allowance, fraction of a rupee shall be rounded off to next higher upee if such fraction is 50 paise and above and shall be ignored if it is less than 50 paise. 7. The revised Dearness Allowance sanctioned in this order shall also apply to the teaching and non-teaching staff working in aided educational institutions, employees under local bodies, employees governed by the University Grants Commission/All India Council for Technical Education scales of pay, the Teachers/Physical Directors/Librarians in Government and Aided Polytechnics and Special Diploma Institutions, Village Assistants in Revenue Department, Noon Meal Organisers, Child Welfare Organisers, Anganwadi Workers, Cooks, Helpers, Panchayat Secretaries/Clerks in Village Panchayat under Rural Development and Panchayat Raj Department and Sanitary Workers drawing special time scale of pay . Ad-hoc Increase – CONSOLIDATED PAY / FIXED PAY / HONORARIUM –Employees drawing revised Consolidated Pay / Fixed Pay / Honorarium -Ad-hoc Increase from 01.01.2015 – Orders – Issued. 1. G.O.Ms.No.248, Finance (Allowances) Department, dated 14.10.2014. In the Government Order first read above, the Government sanctioned an ad-hoc increase in the Consolidated Pay / Fixed Pay / Honorarium with effect from 01.07.2014 at the rate of Rs.20/- per month in respect of those drawing revised Consolidated Pay / Fixed Pay / Honorarium upto Rs.600/- per month and at the rate of Rs.40/- per month in respect of those drawing revised Consolidated Pay / Fixed Pay / Honorarium of above Rs.600/- per month. 3. The arrears of ad-hoc increase for the months of January,February and March 2015 shall be paid in cash immediately.